For centuries St. Valentine has been the patron of love and lovers, providing individuals with the nudge to move a relationship forward. International shipments of red roses have enriched the economies of Colombia, Ecuador and Kenya by hundreds of millions of dollars. This is the time to revisit Valentine’s Day as to its meaning and make plans to restructure its impact. Valentine’s Day has already undergone significant expansion. Its celebration has grown from a small parish to half of the globe. It has become, in some of the wealthier countries, an important gift giving occasion. Gifts have become differentiated by gender. Men consistently give more than women, perhaps because they wish for a foundation, while many women see decoration. The typical gifts are jewelry, roses or dinner. As reported by the National Retail Federation of America, more than $ 810 million worth of Valentine’s Day gifts are given to pets. The timing of Valentine’s Day has expanded as well. In Korea and Japan, romantic gifts are given on March 14, one month later than in the USA. The product pallet has become more diverse: for example in Denmark, instead of roses, one exchanges pressed white flowers. In the Philippines, on February 14 small events are increasingly supplanted by large ceremonies and mass weddings. Italians, instead of smelling the roses, listen to the reading of poetry and eat chocolate hazelnut kisses also known as baci. In South Africa the name of a beloved one is written on one’s shirt sleeves. Some governments consider the Day as unreligious and ban its celebration. By contrast, increasingly, on Valentine’s Day one does not just recognize the one you love, but also family and friends. The Pope in Rome has been known to carry flowers with him on that special day. In sum, Valentine’s Day has taken on a wider mission, diversified its outreach, introduced more flexibility in terms of timing, product, message, and interaction with more people. Most importantly, it has propagated quite successfully the message of interaction, proximity, hugs and love. As next step should encourage this expansion and integrate it more with our lives as business people, policy makers or consumers. Here are some suggestions how Valentine’s Day as a widening construct can serve to incorporate present day realities and future days outlook. To nudge things along, recommendations are included for appropriate commemorative gifts. For President Trump: A cake with many candles but little sugar for providing many occasions of hope, change and new perspectives. To the world at large: the form of messages and hugs represent how different cultures take different approaches to love; to get there, a relationship has to come first; joint efforts will help. To my own small world: humongous love to wife Ilona and daughter Margaret; your gift; anything you want. 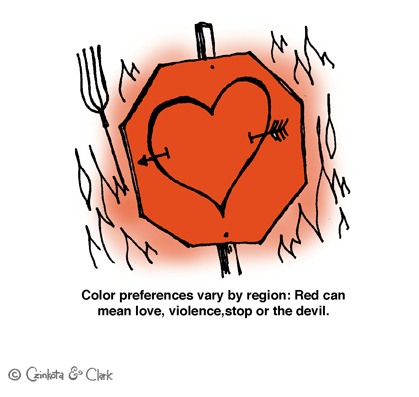 TO ALL: Happy St.Valentine’s Day! It is with great pleasure that professors Michael Czinkota and Ilkka Ronkainen at Georgetown University present the tenth edition of their International Marketing textbook. 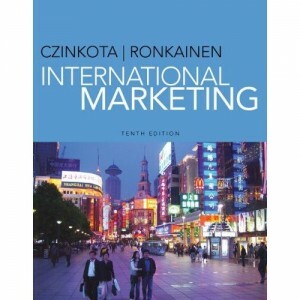 We thank all users of our book International Marketing for allowing us to shape the field and have a major impact on what people know about international marketing. It’s not personal. Distance makes the heart grow fonder, it is often said. But in international marketing, distance can also mean abdication of responsibility. Marketers sometimes clearly demonstrate their desire not to know—for example, by appointing a middleman about whose behavior one can later on be suitably astonished, surprised and mortified. As developing nations develop greater expectations of corporate social responsibility and create new legal requirements, irresponsible marketers may encounter a less tolerant face in host countries. Though the chairman of the multinational corporation may feel suitably removed from local issues, be assured that the locals take all of the firm’s actions very personally. Whose idea is it anyway? As international marketers voraciously pursue opportunity, they will also encounter fierce local competition and instant copying of good ideas. Intellectual property rights violations, including counterfeiting, piracy and copyrights violations, are rampant in many parts of the developing world. These not only harm the international marketer but also the consumers who purchase defective products. Think of the consumer who needs treatment for a critical illness and receives a fake drug. Or consider the situation of Chinese passengers after the crash of high-speed trains, which were manufactured by Chinese companies with technology incompetently copied from Western companies. The government policy of “technology importation, digestive absorption, independent re-innovation and localization” rings hollow to the grieving families of crash victims. We can use Janus as a god of contradictions and transitions, but we can not turn to him for guidance in morality, ethics or even law. International marketers will confront dilemmas and challenges. How well they pursue the conjunction of highly effective marketing and ethical practices will inevitably be reflected in the loyalty of customers and the judgment of host governments. Michael Czinkota researches international marketing issues at Georgetown University and the University of Birmingham in the United Kingdom. He served in trade policy positions in the George H.W. Bush and Ronald Reagan administrations, and currently collaborates in a national export certification effort. Visit his blog at michaelczinkota.com . Charles Skuba teaches international business and marketing at Georgetown University. He served in the George W. Bush Administration in trade policy positions in the U.S. Department of Commerce. He may be reached at cjs29@georgetown.edu . Want to hear more from Dr. Czinkota? I am International Business collection editor for Business Expert Press, which publishes short (150 pages on average) books with good global market penetration. If you have an international business book in you please click to see my call for proposals and contact me if interested.